A Label Rouge traditional roasting goose is a dish that is traditionally eaten during the end of year festivities in some regions of Europe. Hardy breeds selected for the quality of their meat and their slow growth. Roasting geese have white feathers. Geese are reared in little flocks in small, well-lit poultryhouses in natural daylight (400 to 500 m² maximum). The maximum stocking rate allowed inside the poultryhouse is 5 geese per m². They are reared outdoors on grassy and/or shady areas (10 m² minimum per goose). 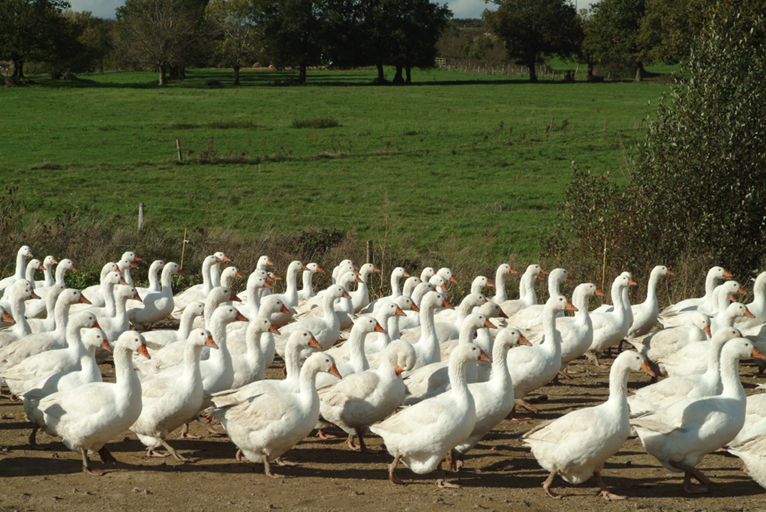 Label Rouge traditional geese are not slaughtered until they are at least 140 days old. Label Rouge traditional geese are class A fowl (European standard that pertains to external appearance) and they must therefore be perfect in terms of their presentation. Their mean weight as ready-to cook fowl ranges from 2.5 to 3.5 kg. Their shelf life is 17 days maximum after slaughter.